Had a chance to visit Bali again for an old friend's wedding. We decided to a little bit hopping. 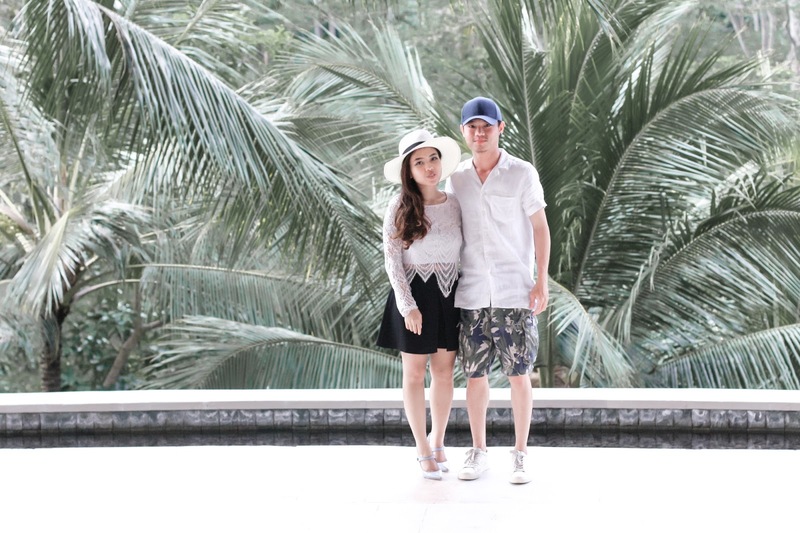 After the wedding in Uluwatu, we ventured to Seminyak and Ubud, and spent a night on each area. On the last day of our visit in Ubud, we decided to watch sunset while having cocktail. 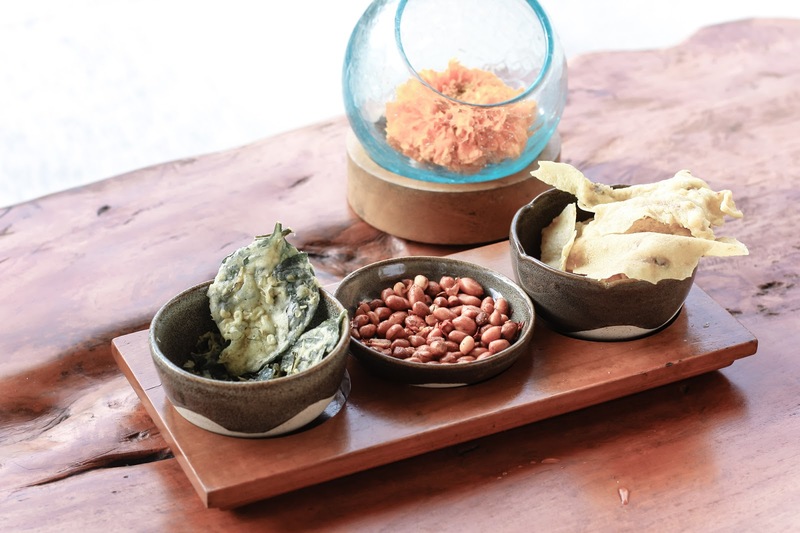 After browsing, we decided to try the Jati bar at the Four Seasons Sayan. 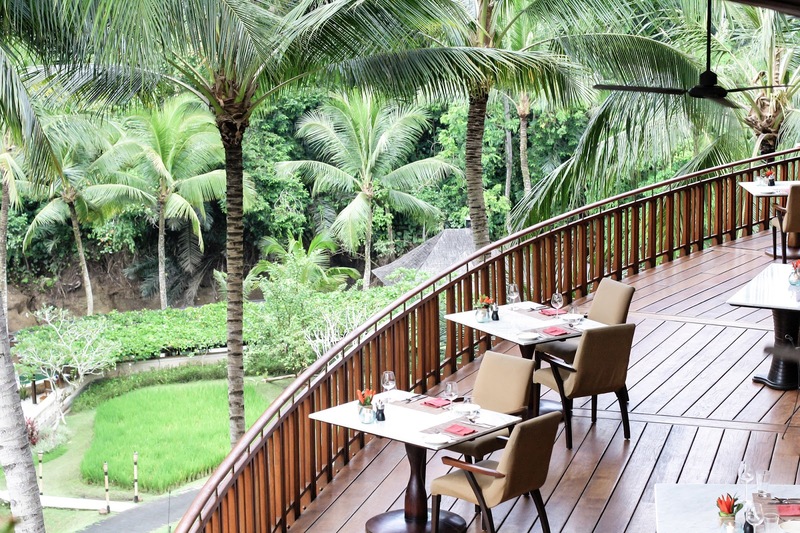 Located at the main road of Sayan, a 10 minutes drive from Central Ubud, the hotel is one of the five star luxury accommodations within the area. wearing Lene skort, Zara shoes, Fossil bag, zaful skirt. Uopn arrival, we parked our car and walked to the lobby. It was quite a distance, but i guess as long as it's not raining it's ok! Then we walked down to its aerial structure, which is the bridge area that connects the main lobby with the bar and restaurants. The bridge span across Sayan Valley, over Ayung river that is listed by Unesco as sustainable irigation system. After 18 years, the resort's architecture is still such an awe. We were also greeted by the ufo shaped lotus pond facing the lush forestry then we walked down the stairs to reach the bar. The hotel itself has a total of 18 gorgeous suites and 42 villas, complete with a two level pool deck and two restaurants. 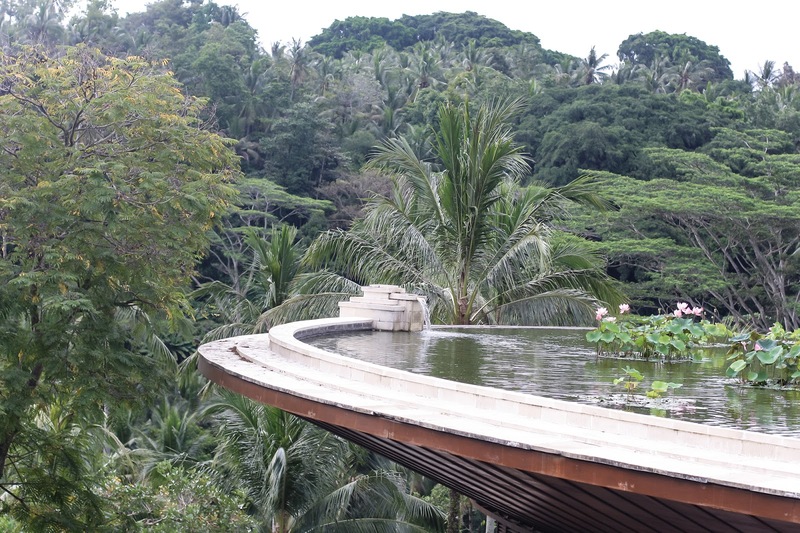 The architecture was John Heah's unique design that is inspired by his idea of taking the resort as a bowl of rice and he wants the visitors to step inside the centre of the bowl. This experience gives an emotional connection to the guests, just like what we felt. Upon stepping in the vicinity, we loved it already. Even before exploring further, before sipping the drinks, or even looking at the rooms. 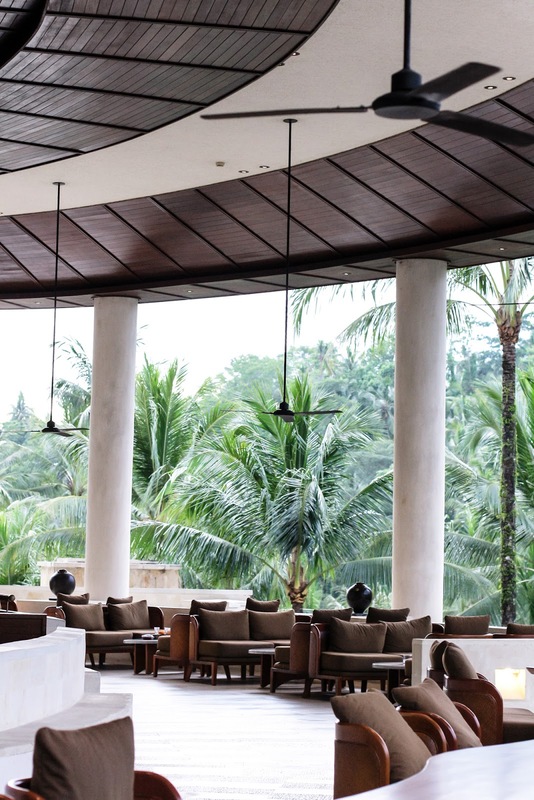 The Jati Bar is located at the futuristic style main building, with a half circle shape view over the groves of fruit trees and the flowing river. We had classic stirred martinis that afternoon and watched the sunset. Service was top notch and the martini was such a kick. Honestly the drinks exceeded our expectation. We thought, the place was already pretty, eventhough the drinks were so-so we would not mind. We also did not want to really experiment and took such a safe bet for the drinks. Apparently our bartender changed our mind! 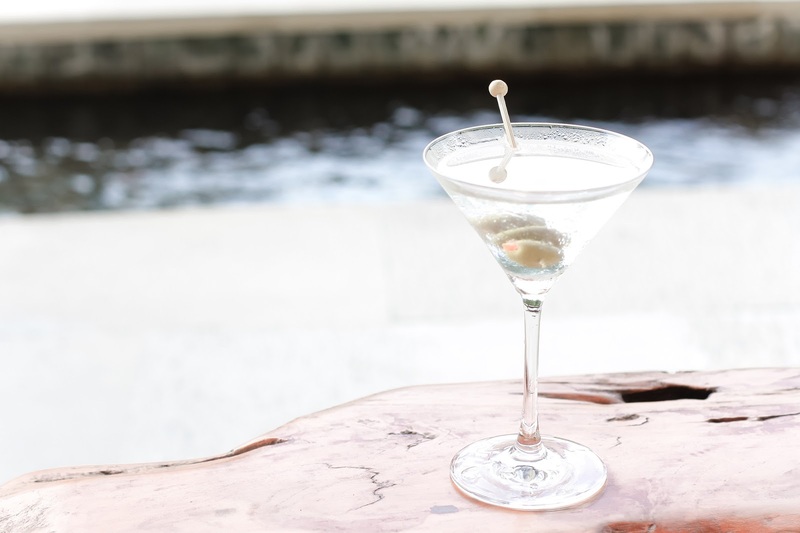 For a IDR 150K (after tax) the martini was invigorating and excellent. So if you guys are visiting Bali next time and looking for a nice place to chill and drinks, I will reccommend this place as it gives you such a view in a really comfortable seat! What a beautiful place! Love your black and white. Such a pretty outfit and you look gorgeous on it! Amazing pictures and the place looks breathtaking. Thanks for sharing this beautiful place. Great photos!! Love the post! It looks amazing, so dreamy. Would love to visit! Also, you look super cute! What a beautiful place and a great look! Stunning photos, definitely giving me the itch to go travelling again! What a stunning top you have on! I love the pretty details! Aw! Seeing your blog remind me that uhmm i think i need a holiday. Btw, last week you leave comment on my blog. Im so glad you visit my blog, but Im so sorry for deleting your comment. Kindly tell you dear, pls dont leave active link on comment balloon, bcos google can consider my blog as spam.